The best video editor helps you easily change audio pitch. At many times the audio pitch is just not right to support the video. It is also seen that the audio pitch is breaking at the higher notes. In such situation, the audio pitch changer comes to your rescue. Are you aware of the pitch changers that let you easily change the pitch of an audio file online? Here are 8 best audio pitch changers online that help you to change the pitch of the audio instantly. It is admitted that online pitch changer can help you make audio better without downloading any software, but if you want to change audio pitch precisely, we recommend using FilmoraPro. 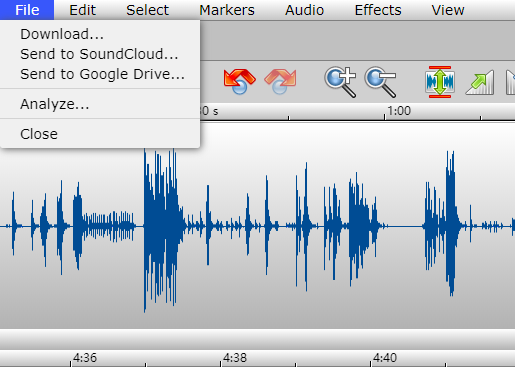 It is easy to change audio pitch by dragging pitch effect onto audio clip. You can drag pitch slider to adjust the effect later. Besides pitch changer tool, you can also sync audo automatically, reduce audio noise and more. Just download it to have a try (Free)! The pitch changer online tools are a great way to give your music the right pitch and note. The above audio pitch changer tools also let you control the speed or tempo of the music. For learning musical lessons or playing the instruments, audio pitch changer is an essential tool and can be easily used online.